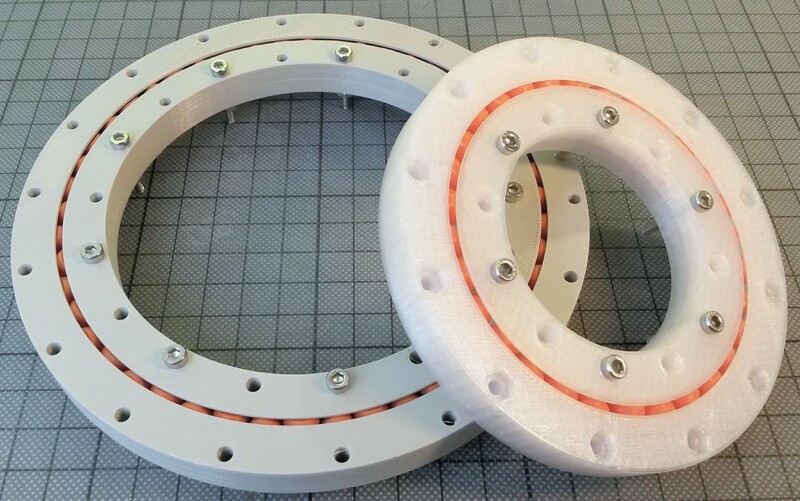 Ball-bearings are very popular for 3d-printing. However they often fail for real applications. Using Fusion 360 I've created a parametric design of a "Crossed Roller Slew Bearing". I think the most relevent result of this project is a video-tutorial how to do such a design. It's published on YouTube. 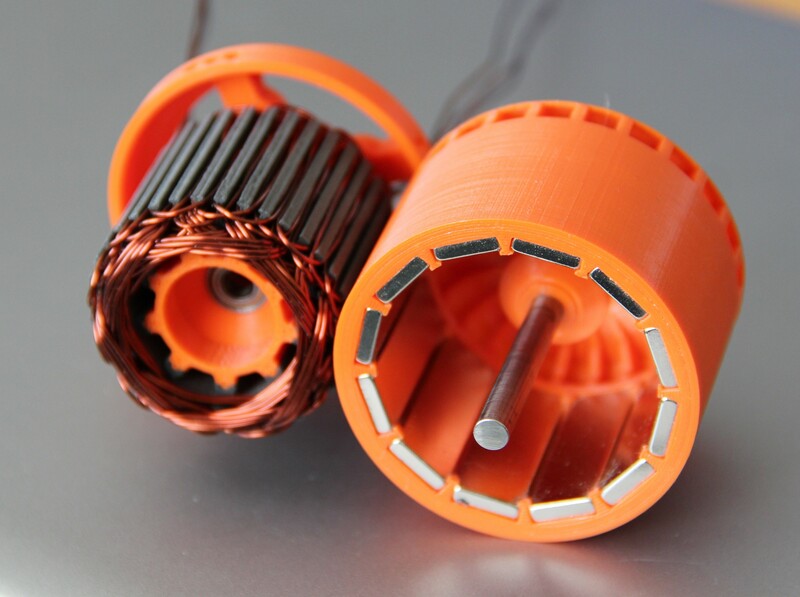 This is a very powerful, 3d-printed brushless DC electric motor. It has 600 Watts, and performs with more than 80% efficiency. 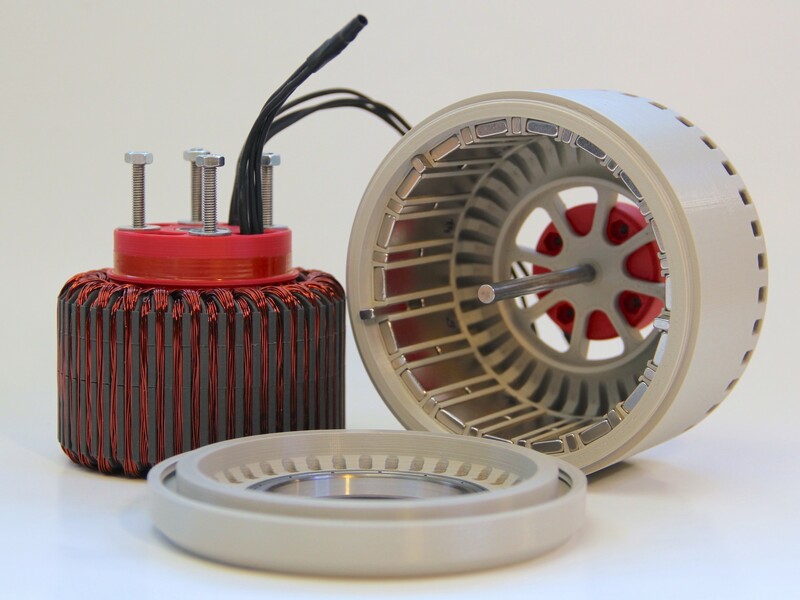 The main components like rotor and stator can be printed with a common FDM-printer. Magnets, copper wire, and ball-bearings are ordinary components. The magnets of the rotor are arranged as Halbach Array. The motor did win an award on www.instructables.com. 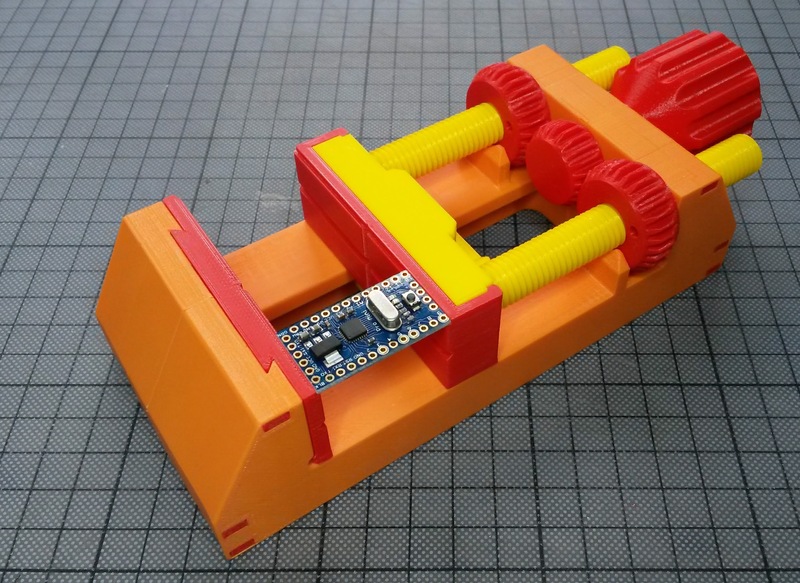 This is a quite robust 3d-printable machine vise. It's 100% 3d-printed - no screw or other piece of hardware is needed to hold the individual pieces together. Pieces clip and snap together. It's a demonstration that it is very important to consider forces and material properties already when designing a mechanical object. Hints about proper design are presented in my video. From a distance it looks like a regular wind turbine. Having a closer look, it turns out that it's also a display. 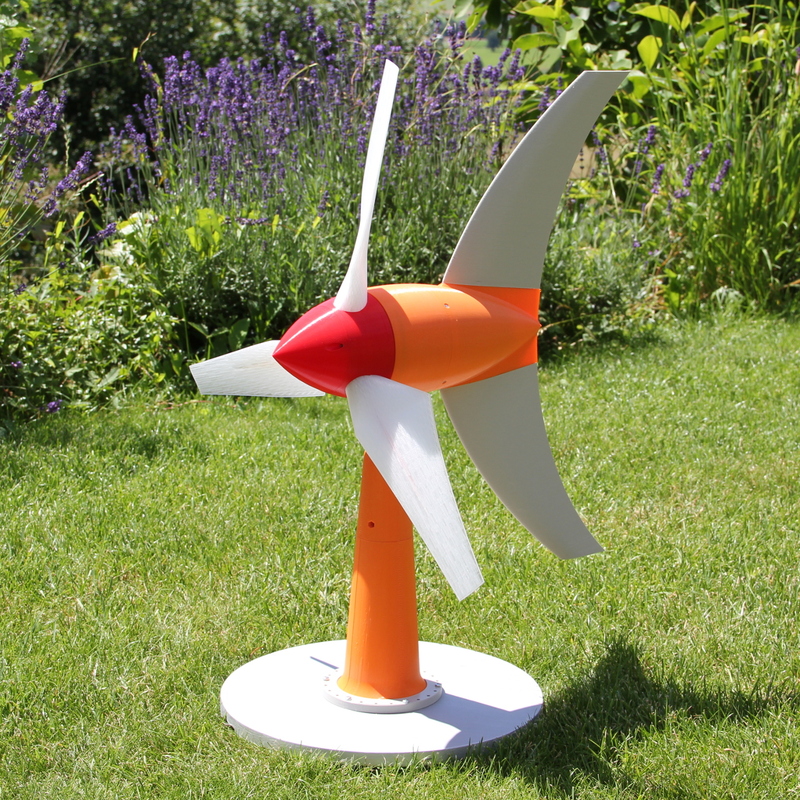 The wind moves the propeller and turns a 3d-printed generator. 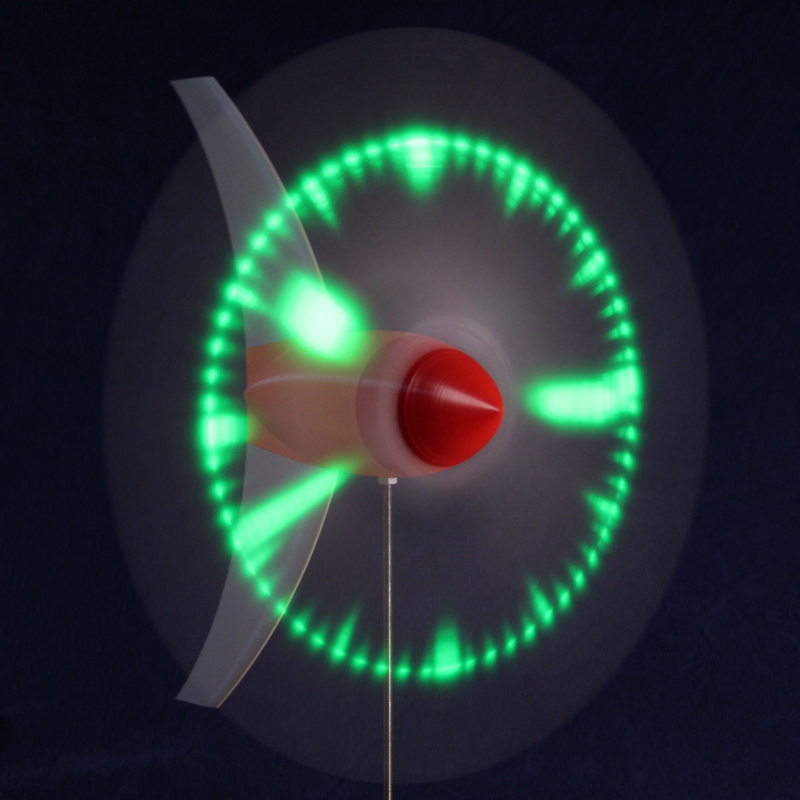 The electricity supplies an Arduino, which controls LEDs inside the transparent propeller-blades, and writes messages into the air (self-powered POV). 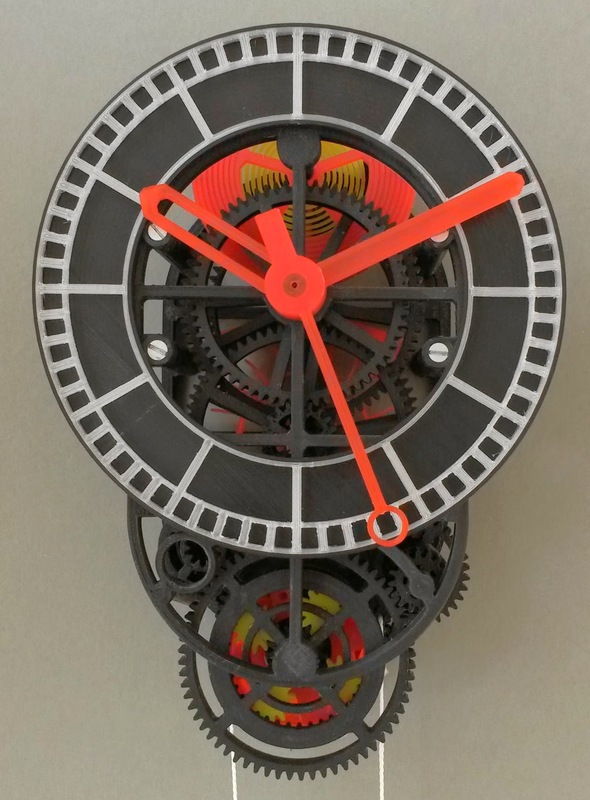 This mechanical clock demonstrates that 3d-printing is not just for decoration. It's possible to create intelligent, living things. The clock has an anchor escapement, and a balance-wheel with a spiral spring. The clock shows Seconds, Minutes, and Hours. The winding has a nested planetary gear, which allows that the clock continues to run, while winding up. Everything is 3d-printed (even the spiral spring), except e few small screws, some metal pins, the cord, and the lead for the weight. Designed with Blender. PLA printed with Rapman 3.2. I was born in Zurich, Switzerland, grew up nearby. 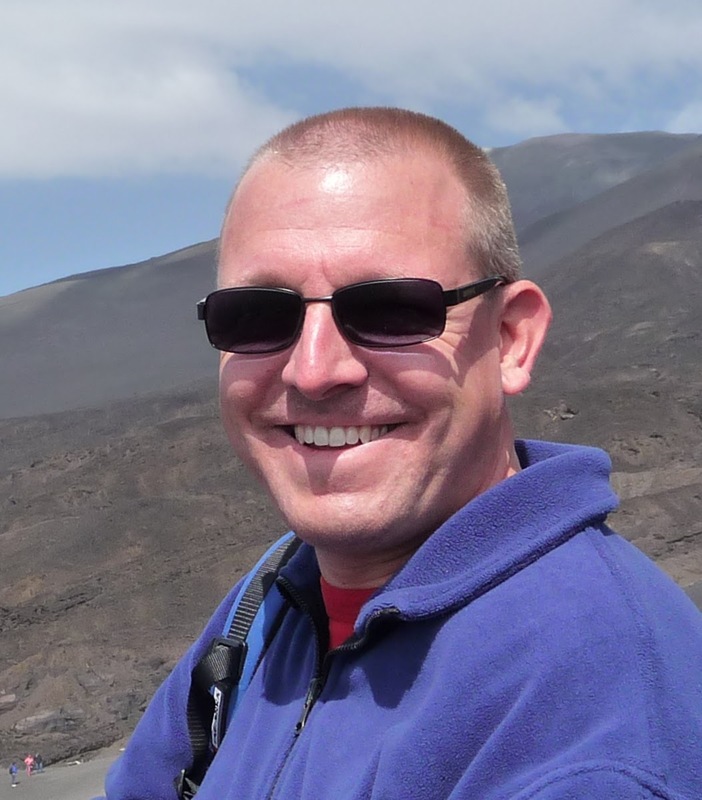 After finishing my studies in Electrical Engineering at the ETH in Zurich with a masters degree, I was working as a software developer - initially in semiconductor industries, and later many years in life science. Designing and creating innovative software, interacting with customers, and managing a small team of software developers was my big pleasure. I was always taken with mechanical constructions, designed and experimented with model airplanes. When 3d-printing became commonly available, a door for a new type of creativity was opened. I had to open this door, and immediately my focus was attracted by mechanical watches. 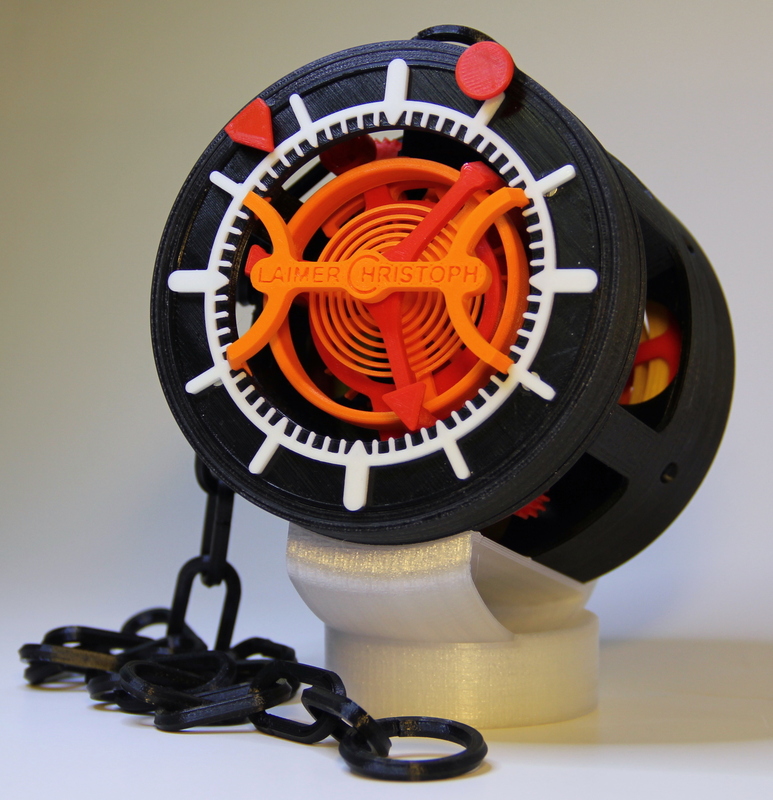 I stopped my former job, in order to find more time for a new adventure as a "3d-print-watchmaker". I believe, future watches will be highly customizable - not only engraving or ornaments on the case, but the whole watch including the movement. Actually I'm passionate to design 3d-objects pushing 3d-printing to it's limits.